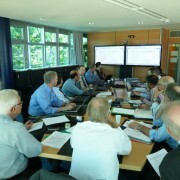 Our AC/MC meetings were held from 4-5 June 2013, in WMO Headquarters in Geneva, Switzerland. 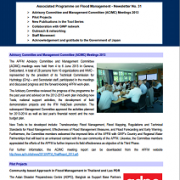 The AC/MC Final Report including the agenda of both meetings is available for download here . 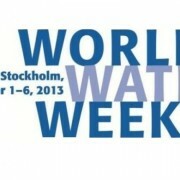 World Water Week is hosted and organised by the Stockholm International Water Institute (SIWI) and takes place each year in Stockholm. The World Water Week has been the annual focal point for the globe’s water issues since 1991. Each year the World Water Week addresses a particular theme to enable a deeper examination of a specific water-related topic. While not all events during the week relate to the overall theme, the workshops driven by the Scientific Programme Committee and many seminars and side events do focus on various aspects of the theme. 2013 theme is Water Cooperation – Building Partnerships. 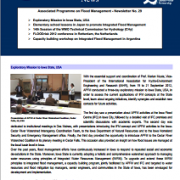 Flooding places enormous pressures on national economies, cities, communities and individuals. The short-term impacts may include hundreds of casualties, many displaced people, very serious health problems and huge damage to property and infrastructure. Recovery in the affected areas may take years. 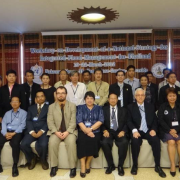 The International Conference on Flood Resilience Experiences in Asia and Europe is organised by the Centre for Water Systems , University of Exeter. It will be held in Exeter, 5-7 September 2013. 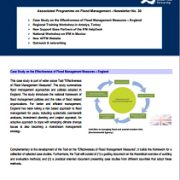 The aim of this event is to gather professionals to present and discuss the latest research advances and practices in the development and implementation of resilience measures and flood management plans. The focus on cities in Asia and Europe is motivated by the approach applied within the EU funded FP7 project CORFU that investigates differences in flooding problems and solutions in a number of case studies in these two continents. The wider objective is to enable the broadening of horizons and better joining of people, ideas and methodologies. APFM attended the FLOODrisk 2012 conference with a booth in the exhibition hall. 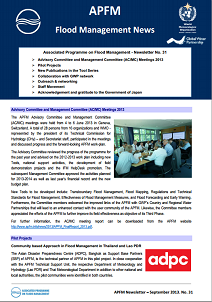 Final Report of the Advisory and Management Committees Meeting, 21-22 June 2012 is now available for download. 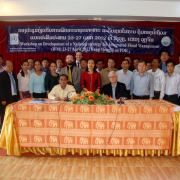 Report of the workshop on the “Development of a National Strategy in Integrated Flood Management for Lao PDR”, helt 23-27 April 2012 in Vangvieng has been issued.